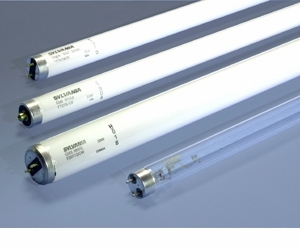 Case quantity is 30 bulbs Sylvania 25W T12 Cool White Fluorescent Light Bulb - F25T12/CW/30 - Description: 25W, 30" MOL, T12 preheat fluorescent lamp, Cool White phosphor, 4200K color temperature, 60 CRI, appliance and vending applications. Average Rated Life (hr) 7500, Base Medium Bipin, Bulb T12, Manufacture Sylvania. Sylvania 25W T12 Cool White Fluorescent Light Bulb - F25T12/CW/30 - Description: 25W, 30" MOL, T12 preheat fluorescent lamp, Cool White phosphor, 4200K color temperature, 60 CRI, appliance and vending applications. Average Rated Life (hr) 7500, Base Medium Bipin, Bulb T12, Manufacture Sylvania.